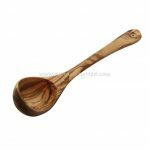 This is a beautiful hand-crafted olive wood gift set of 4 cooking spoons consists of an olive wood spoon 12″, an olive wood corner spoon 12″, and olive wood risotto spoon 12″ and an olive wood spatula 12″. All these olive wood utensils are handmade making each one unique. 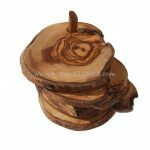 Olive wood is ideal for food preparation as the natural oil content of olive wood means that it kills bacteria. 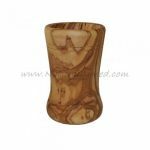 Olive wood is therefore more hygienic than other wood or plastic products. All our olive wood products are finished with olive oil and so will not taint any food it is in contact with. These hand-made pieces are carved out of a single piece of wood so are rare as well as being unique, beautiful and durable. As a result of these utensils being hand-crafted the size may vary slightly with each product, approximate length is 12″. 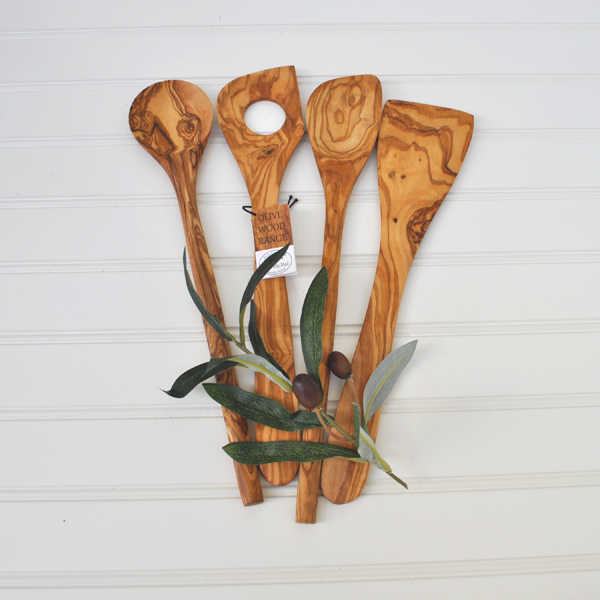 As these spatulas are handmade the shape or style may vary slightly from time to time.